Discussion in 'In the News' started by Frank Sanoica, Aug 12, 2018. 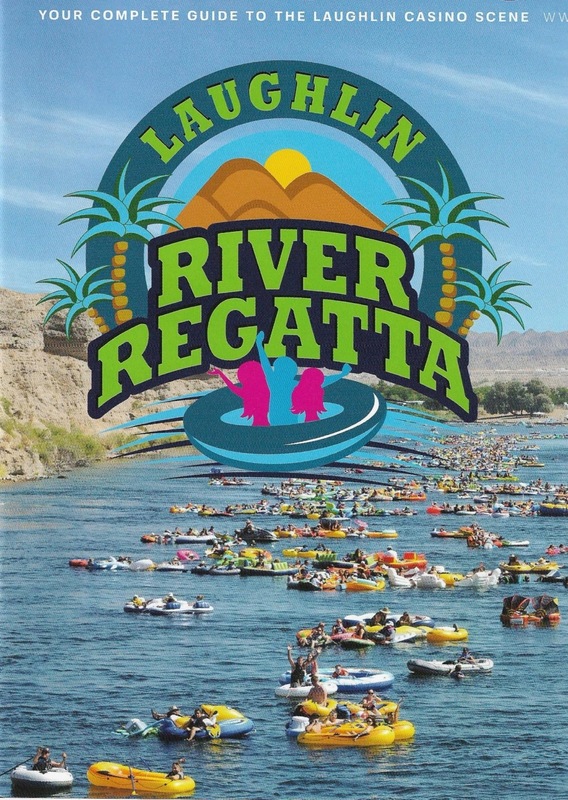 Biggest thing is, yesterday was the acclaimed River Regatta, 20,000+ came here to float the river, power knocked out in Laughlin, hotels, casinos, Mother Nature was not pleased with the mess those folks create! I had no internet this AM, router would not work. Maybe more on this later, as I find out more. Shirley Martin, Don Alaska, Gloria Mitchell and 2 others like this. They pay a lotta bucks to do this, then more in the hotels/casinos. The Feds own the river, so permits must be obtained from Bureau of the Interior, Lake Mead National Recreation Area, Arizona Dept of Water Quality, ditto Nevada, EPA, Cities of Bullhead and Laughlin, even Mohave County! Everybody gets a cut, 'ceptin the poor river, left with tons of debris along shoreline, in the river, you could not believe the terrible mess from the last one, in 2016. OTOH, they have a good time. Glass containers are prohibited. For the most part, these are families rather than the rowdy type gathering ensuing when 30,000 bikers converge here! Chrissy Cross, Gloria Mitchell and Beatrice Taylor like this. BULLHEAD CITY — Saturday’s Laughlin River Regatta was a celebration of floating, fun and friends, complete with birds and unicorns. More than 10,000 visitors converged on the launch site at Davis Camp on Saturday morning, veterans glad to see the event back on after a year without a regatta and newcomers excited about the prospect of a few hours on the river with good company and adult beverages. The floats came in all forms, including circular tubes and inflatable canoes to turtles and dinosaurs, but the water belonged to winged creatures, both real and mythical. Rodrigo Quintero of California’s San Fernando Valley came as part of a group floating on an 8-foot flamingo with a 13-foot-by-13-foot footprint. His friend Andrew Rodriguez said he was inspired to buy the flamingo float after encountering the birds during a zoo trip. The four friends who attended with Hazard added a duck, a pelican, a swan and a flamingo to the flock. The duck captain, Ellen Alexander, said she was happy to see the regatta return. Greg Kormelis, of Bellingham, Wash., was a first-timer. He said he came at the urging of local friends. While Railey planned to have a few drinks, the real attraction of regatta for her is the chance to meet people and enjoy the landscape while floating by, she said. She was one of several to say they were saddened at the Bullhead City Council’s decision to cancel the 2017 regatta and pleased to hear that the event was coming back. “I think we bought the tickets immediately,” Railey said. Alexander said she thinks this year’s event was more organized than past regattas. She was particularly impressed by the shuttle buses that took participants from Laughlin casinos to the launch area. Michael Chafe, of Riverside, Calif., said this was his first regatta, but that he was aware of local opposition to the event. Quintero said he understood why the regatta was scrapped for 2017. “I saw the mess they left a couple of years ago,” he said. Yvette Silva, of Fontana, Calif., fiddled with the three large onion bags she and her husband received at check-in as she talked about participating in the regatta. Michael Paul, owner of Tri-State Ace Hardware, said that how the river is treated will go a long way toward changing minds. Paul said that the regatta’s return was welcome for numerous local businesses, including his own. Ace set up three off-site stores to serve the regatta crowd, including one at Davis Camp. Hats, waterproof phone cases and coozie cups were among big sellers, Paul said. @Frank Sanoica , it looks like a fun event. Have you attended one...…. or participated in one? Heavens, no! I fear water, especially deep water, ever since I nearly took in lungsful in the high school swimming pool. The Coach, ever watchful, saw me foundering underwater, and yelled to someone to pull me out. He scolded me for being in deep water, unable to swim. I could swim, but once in a vertical position, I sink like a rock, always have, no matter what I do. I watch Fox5 LV yesterday and it seems they had the same problems there with losing power for hours with the storm you have just had. A couple years ago I came out of a Casino after a couple of hours of play to a lovely sunny day temps in the 90s and thought a water main had burst because of the amount of water in the road. Located about 20 miles west out of town, a placard on a stand gave a brief synopsys of the place, explaining the wildlife types, weather, extremes. Wild burros are quite common here where we now live in Arizona. "The Desert is a Harsh Master"
In Fresno our weather is almost as hot as NV and AZ but we don't get any summer storms or rain at all. Ive been to Vegas many times but never to Laughlin. It's about a 6 hr drive from Fresno but I know falcon (John) went there quite a few times and liked it.